Izu-Tobu volcano is a group of volcanic vents with cinder cones, lava flows, domes and tephra deposits on the NE Izu peninsula 80 km SW of Tokyo. 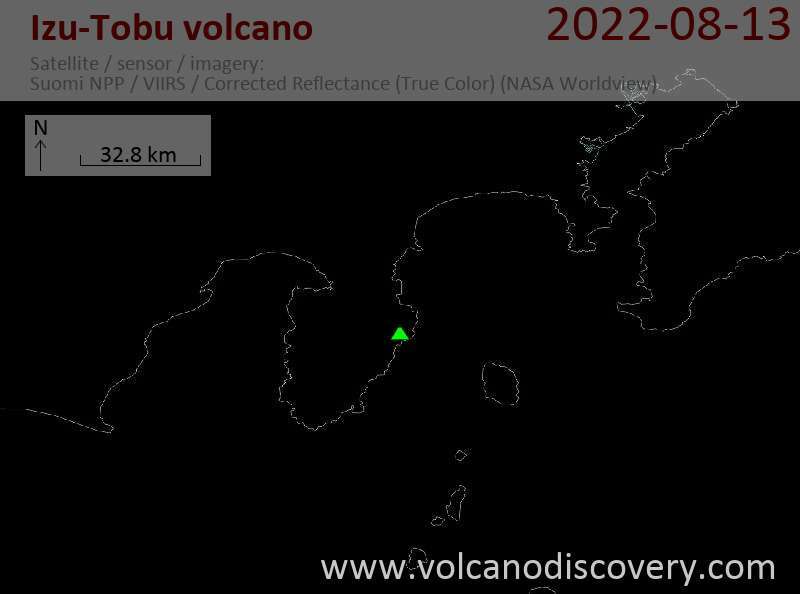 The Izu-Tobu volcanic group covers an area of 400 sq km and contains many submarine volcanoes offshore of the peninsula. Most of its erupted magmas are basalt, and a smaller volume is andesite. Ito city is the largest town (ca. 70,000 inhabitants) located in the volcanic field. It is known for its hot springs and resorts. The latest eruption of Izu-Tobu volcano was in 1989, when a small submarine crater formed NE of Ito City.